Parallelism is often referred to as one of the basic principles of grammar and rhetoric. Parallelism means using elements in sentences that are grammatically similar or identical in structure, sound, meaning, or meter. This technique adds symmetry, effectiveness, and balance to the written piece. Parallelism uses similar words, phrases, or clauses to show that ideas have the same level of importance. This structure improves readability by giving a natural flow to a written work. For native speakers of English, parallelism is often instinctive. We say, "I like reading, writing, and painting" instead of "I like to read, writing, and painting." However, one common mistake novice writers make involves failing to keep items in a list after a colon in a parallel form. "Writers can use an online dictionary to find help with these issues: word meanings, pronunciations, and finding correct spellings" does not use a parallel construction. Changing the text to read, "Writers can use an online dictionary to find help with these issues: word meanings, pronunciations, and correct spellings" gives it a parallel construction and improves readability. Mother was very busy gathering the laundry, dusting the furniture, and washing the dishes. He likes television shows that have deep characters, interesting stories, and good actors. My face is washed, my hair is combed, and my teeth are brushed. We are giving away our furniture, selling our house, and moving to Spain. To succeed in life, you need to take advantage of opportunities and to follow your dreams. Parallelism in rhetoric is used to persuade, motivate, and/or evoke emotional responses in an audience and is often used in speeches. The balance between clauses or phrases makes complex thoughts easier to process while holding the reader or listener's attention. "I have a dream that my four little children will one day live in a nation where they will not be judged by the color of their skin but by the content of their character. 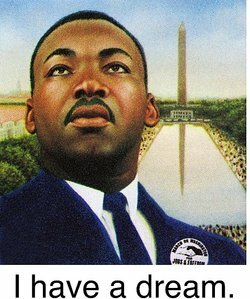 I have a dream today." -Martin Luther King, Jr. The opening paragraph of Charles Dickens' A Tale of Two Cities is perhaps the best-known example of parallelism in literature. Parallelism is shown by using "it was" to connect opposing ideas. William Shakespeare often used parallelism in his plays. Consider the following excerpt from Richard II. and my large kingdom for a little grave." Diazeugma, using a number of verbs to describe a subject, is also a form of parallelism. This can be seen in "Vacation '58," a short story by John Hughes. "It wasn't a big cliff. It was only about four feet high. But it was enough to blow out the front tire, knock off the back bumper, break Dad's glasses, make Aunt Edythe spit out her false teeth, spill a jug of Kool-Aid, bump Missy's head, spread the Auto Bingo pieces all over, and make Mark do number two." "Shooting an Elephant," an essay by George Orwell, uses the experience of hunting an aggressive elephant in Burma as a metaphor for British Imperialism. Starting each phrase with "some" creates a parallel structure that reinforces how easy it is for observers of the same event to have entirely different opinions. "Some of the people said that the elephant had gone in one direction, some said that he had gone in another, some professed not even to have heard of any elephant." The poem "The Tyger" by William Blake uses repetition of "what" to create a pleasing rhythm. "What the hammer? what the chain? Dare its deadly terrors clasp?" "How Do I Love Thee?" by Elizabeth Barrett Browning also creates rhythmic verse with repetition of the parallel structure "I love thee." "Community" by John Donne contrasts ideas of "good" and "love" with "ill"and "hate" using parallel structure. As we shall find our fancy bent." E.E. Cummings' poem "love is more thicker than forget" uses the words "love is" and "more" or "less" to create a parallel structure that explains the meaning of love. Reading written text out loud is often an effective way to identify examples of parallelism or areas that need editing to maintain a parallel structure. Listening to the rhythm of words as they flow from your tongue will help you maintain the desired balance in your writing, whether you're writing a persuasive essay or a romantic love poem. "Examples of Parallelism." YourDictionary, n.d. Web. 18 April 2019. <https://examples.yourdictionary.com/examples-of-parallelism.html>.